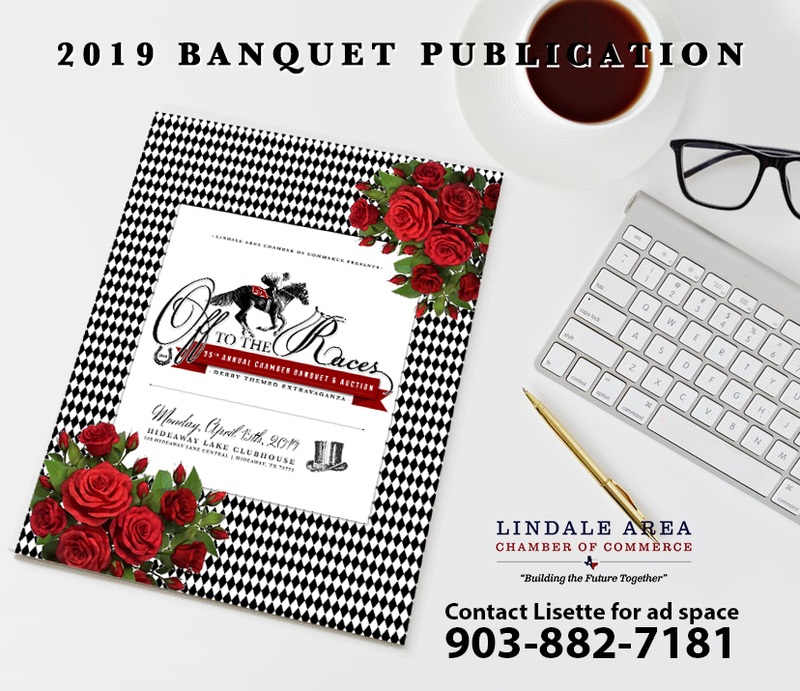 The Lindale Area Chamber of Commerce is the leading organization promoting business in the area. We foster programs, events, and initiatives to create a more desirable community in which to live, work, and raise a family. 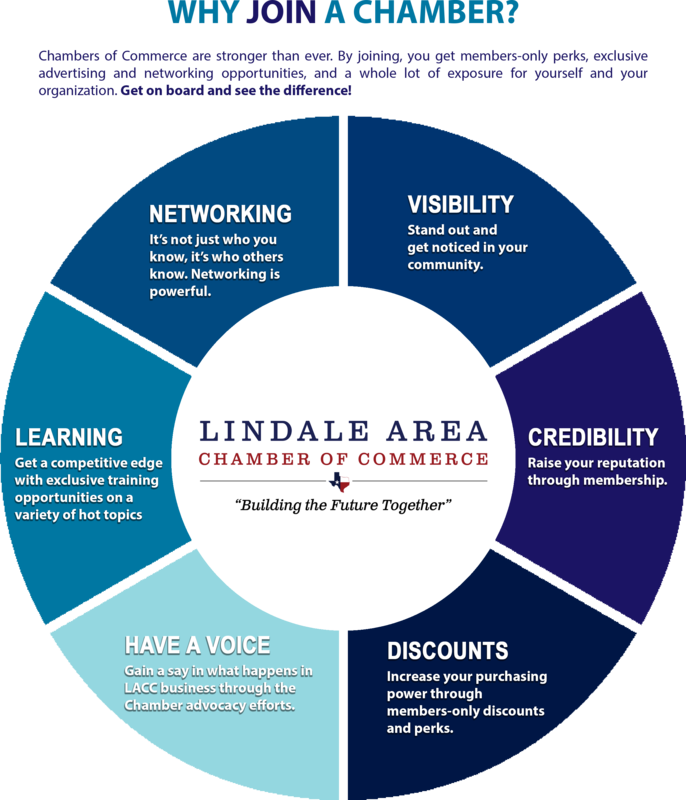 The Lindale Area Chamber of Commerce works for you and your business, but we can’t do it alone! While some of the services are carried out with or without your involvement, many of the Chamber’s benefits come from you being active and involved. 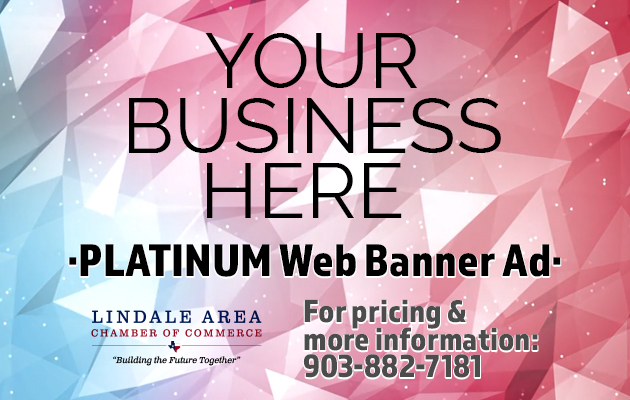 We hope you will with the Chamber to make the most of your membership and sponsorship investments. We hope you are ready to get involved through sponsorships, events, and participation in monthly activities!